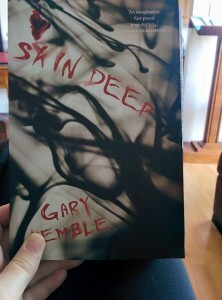 Very pleased to find this in the early post this morning: Skin Deep by my mate Gary Kemble. I critted this one a couple of years ago and am so happy to see it now in print! 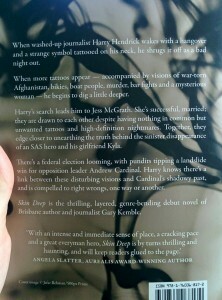 See, I even blurbed it. A big huzzah to the good folk at Five Mile Press/Echo Publishing. This entry was posted in News and tagged angela meyer, Eccho Publishing, Five Mile Press, gary kemble, Skin Deep. Bookmark the permalink.